Nintendo struck gold when it released the original NES, with a simple but perfectly-designed controller layout still beloved to this day. Sure, technology has made enormous improvements, but there’s still nothing quite like playing your favorite games on an old school NES controller. Luckily, 8Bitdo is bringing the retro look and feel back to modern gaming with their new NES30 Pro Bluetooth Game Controller. 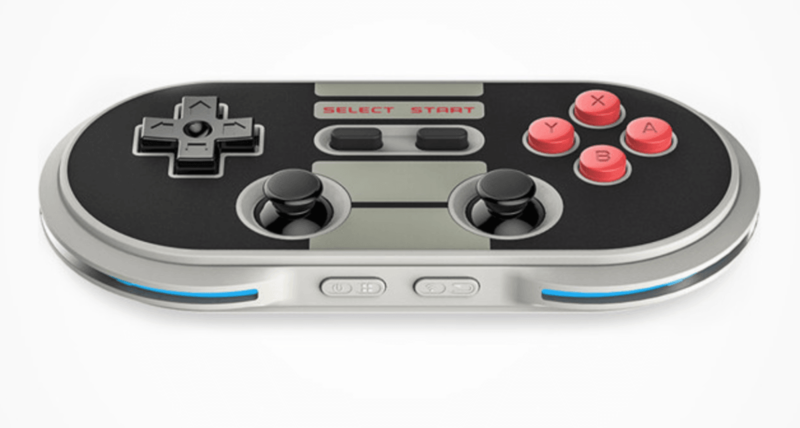 Now you can play your favorite iOS, Android, or PC games with this NES-inspired handset. For a limited time, OP readers can get one for just $36.99—over 25 percent off with free worldwide shipping. The NES30 Pro allows you to play your favorite games on various platforms: iOS, Android, PC, and more. You can connect multiple controllers for simultaneous multiplayer action, and take advantage of third-party platforms on Baidu, KO Gaming City and more. Plus, you’ll be able to add expansions with the included upgradeable firmware. If you’re looking for an awesome new gaming experience with a retro feel, don’t miss out on the NES30 Pro. It normally runs for $50, but TNW readers can save over 25% and get one for just $36.99, with free shipping worldwide. Want to make the games everyone loves to play? Turn your ideas into real games with a fantastic game developer course bundle from Stone River eLearning. You can pay what you want for three comprehensive game dev courses for a limited time at TNW Deals.